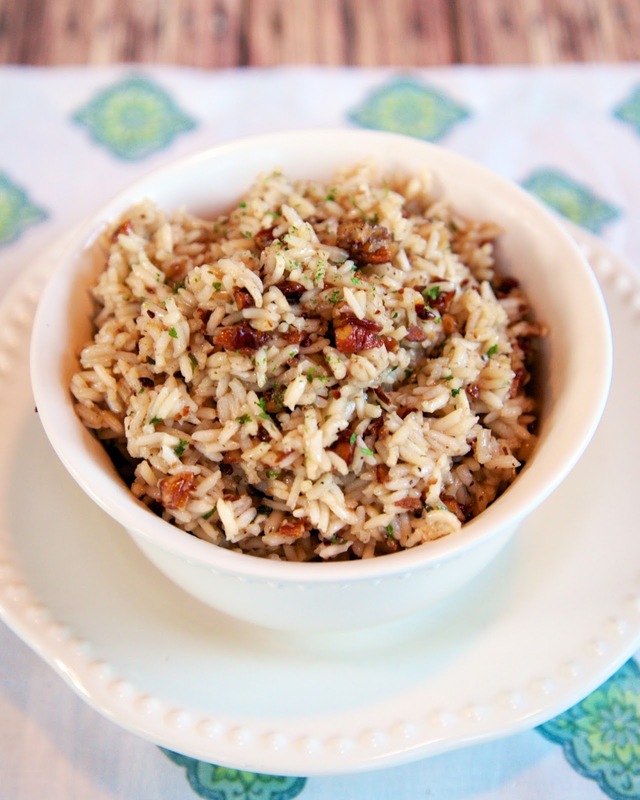 Pecan Pilaf recipe - toss the box and make this quick rice side dish - rice, pecans, chicken broth, and seasonings - tastes great and only takes 20 minutes! I am a big fan of Rice-A-Roni. It is a quick, easy side dish that tastes really good. I ran across this recipe for Pecan Pilaf and decided to give it a try instead of the box of rice. WOW! It was SO good and just as easy as making the box of Rice-A-Roni. We served this with the leftover pork tenderloin that I posted yesterday. It was better than any boxed rice. We both loved it. I think my favorite part was the crispy pecans. This will be going in the regular dinner rotation. In a large skillet, melt 1 Tbsp butter. Add pecans and sauté 8 minutes or until lightly browned. Remove pecans from skillet and set aside. Melt remaining 2 Tbsp butter in pan. Add rice. Sauté for 3-4 minutes, until rice starts to brown. Add chicken broth, onion flakes, salt, thyme and pepper. Stir. Bring mixture to a boil; cover and reduce heat to a simmer. Cook 20 minutes or until liquid is absorbed and rice is tender. Remove from heat and stir in pecans and parsley. 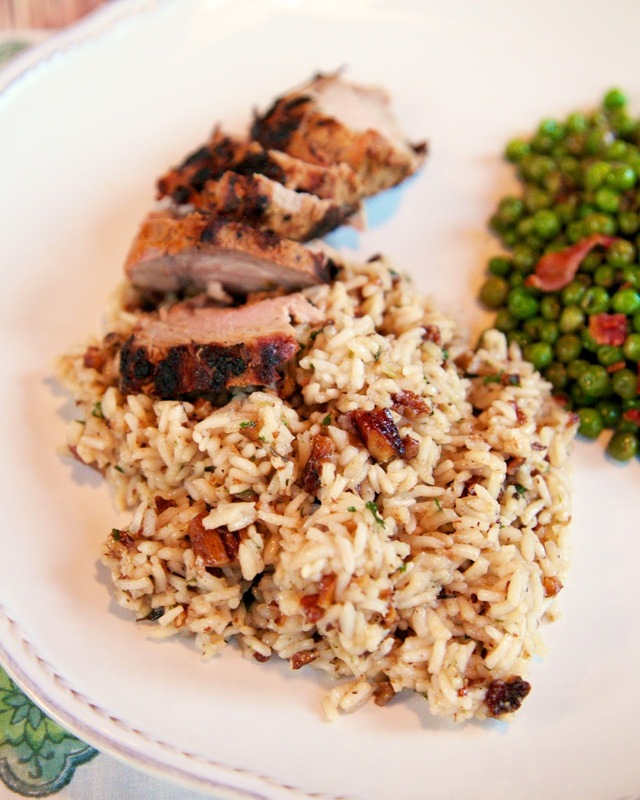 As good as the pork tenderloin looks (I pinned the recipe recipe yesterday), I would be happy eating a bowl of the pilaf! To give the pilaf the "roni" part, just break some very thin spaghetti into little pieces and saute a little before you add the rice. Then the "roni" will be a little more golden like the original rice-a-roni. Yum, pecans make everything better! I would love to know how you cooked those peas.. They also look fantastic!